I know what you are thinking. “Healthful? Isn’t it healthy?” But no! No it is not. You can be healthy, but things (like vitamins, working out, etc) are healthful because they add to your overall health. Cool, huh? As I write this, the temperature is 1°. If you are like me, being trapped indoors for days on end with the sky a static shade of gray doesn’t exactly inspire lofty fitness and healthful eating goals. However, I’ve found a few simple ways to stay healthy, despite the frigid temperatures and gloomy weather. 1. Make Your Own Snacks. Here is a simply truth that I live by: I’m going to get hungry in between meals and want to snack, so I might as well plan in advance what those snacks are going to be. Never choose your snack hungry! It’s the same concept as grocery shopping. Go to the store hungry and you’ll come out with a pizza, frozen french fries and cookies…and no actual groceries. So here is what you do-when you make out your grocery list each week, factor in a few healthy snacks. They can be store bought if you’re short on time, but if you can throw together a few satisfying snacks, even better. 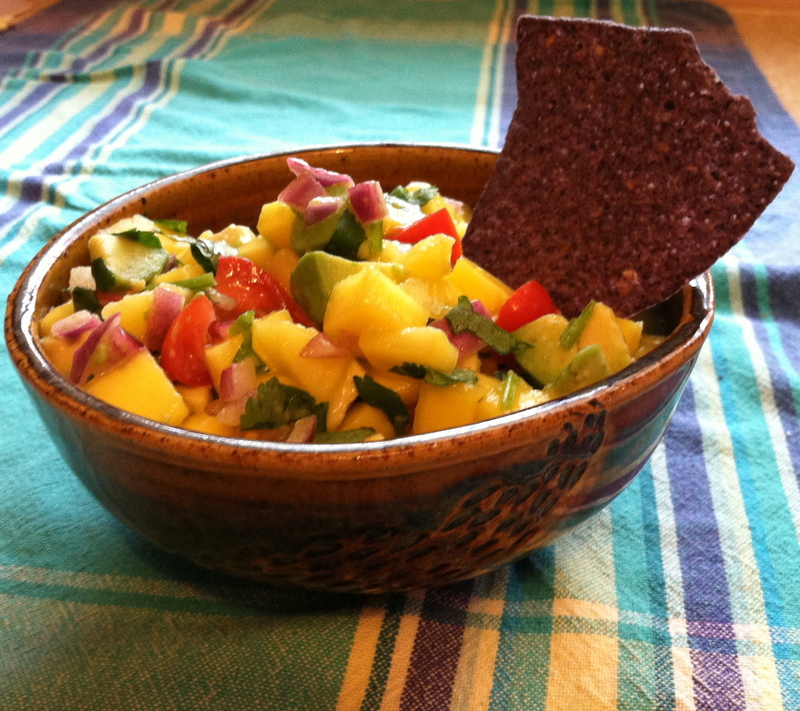 The photo above is one of my favorite snacks-avocado and mango salsa with whole grain tortilla chips. You will save yourself frustration (and calories) if at the beginning of each week you put together a few snacks that will be ready at a moments notice. 2. Get Moving, No Matter What. I’ve discovered that the busier I am, the more I need to find time exercise. It doesn’t have to be long, it doesn’t have to be formal, and it’s usually interrupted by my children, but doing something, anything, is better than nothing. Exercising wakes me up, gives me energy, and brightens my mood, all of which makes a busy day just a little bit easier. And a note about exercising with children. As much as it may slow down or sometimes even derail your workout, try to incorporate your kids into your exercise time. Whether its “mommy and me yoga” or pushing play on a Zumba video, let your kids see you workout. Let them see that you take your health and wellness seriously. Plus, as an added bonus, it’s great to get them moving as well! 3. Go Meatless, More Often. I’ve been a vegetarian for several years now, so this is by far the easiest thing for me on my list. But I have a husband and son who still love to eat meat, so I understand that for others, it may be easier said than done. However, I think going meatless might be easier than you think! I know I might be oversimplifying it, but I encourage you to try it this week. Start with a recipe you already like cooking, maybe a pasta dish, and make it per usual minus the meat. Sub whole wheat pasta or add some chickpeas if you want additional protein. The photo is a vegetarian wrap, one of my favorite lunches. 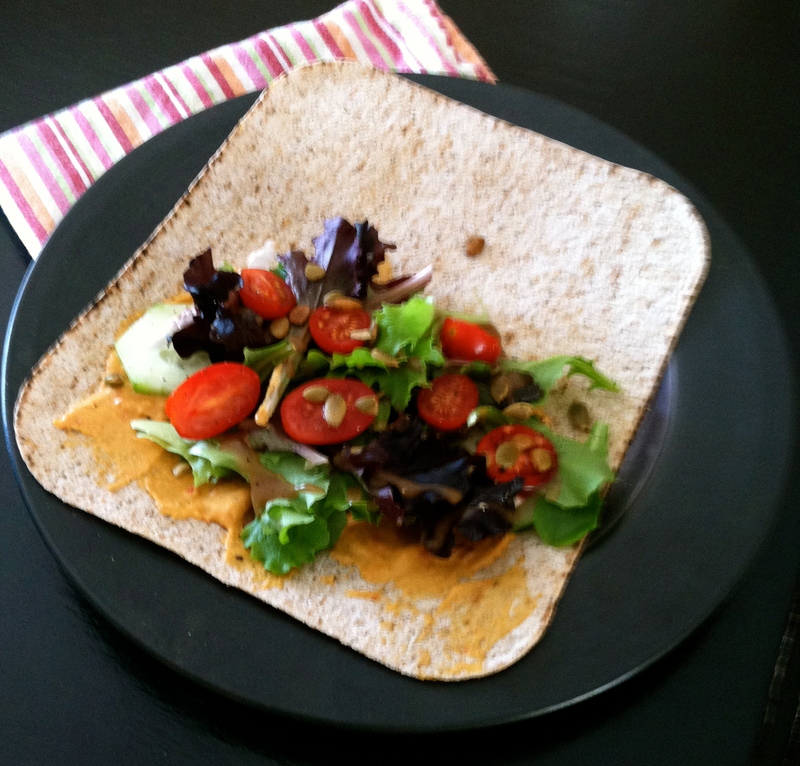 Slather a whole grain wrap with hummus and build it with your favorite toppings (I pretty much add anything I would put on a salad) and presto! You’ve got a yummy, vegetarian lunch. 4. Get Outside. I realize that getting outside and spending time in nature doesn’t excite everyone, but for me, going outside is a great way to refresh my mind, leave behind stressors, and feel more grounded. 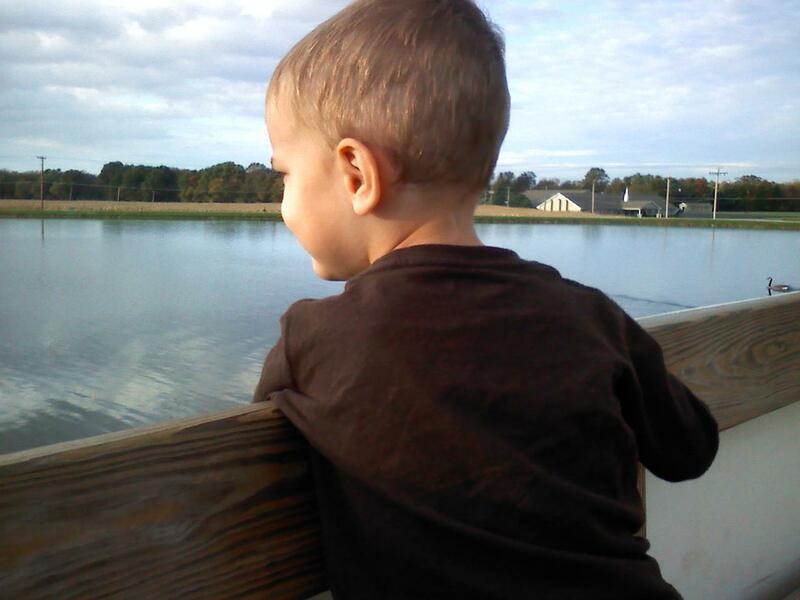 So even on less than ideal days, venture outside, even if it is for just 5 minutes. Your mind and body will thank you! Make Things Yourself. Over the years, I’ve found that homemade versions of convenience or junk foods are typically better for you than their store bought counterparts. For example, the doughnuts in the photo above. 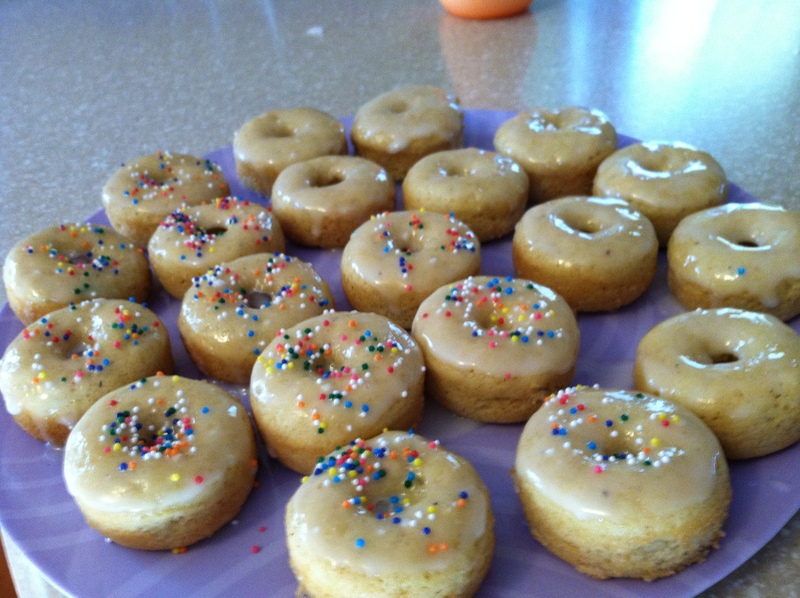 They were fun and simple to make, and because they were baked, they had only a fraction of the fat and calories of the doughnuts we buy (and love!) from our local bakery. True, they didn’t taste the same as store bought, but they were sweet and delicious and went down just as easy with a cup of coffee…without the guilt! I know our biggest deterrent to making things ourselves is time, and to that I say, take time to be healthy – you’re worth it! 5. cheese. lots and lots of cheese. I hope my list has inspired you to possibly incorporate a new healthful habit (or two!) into your life. Feel free to contact me for further information about how I implement these habits in my own life. I’d be especially happy to share recipes! For my parting thought, remember this: we don’t get healthier faster by being hard on ourselves. So take care of your body, because we only get one, but remember that tomorrow is a new day. And if you ate too many fries today or spent all your time sitting, don’t sweat it. Each new day is a chance to make better choices than the day before. Previous Post Why I’m bad at yoga, and you can be too. Wow! I want to go workout right now and snack on tha salsa today. Usually tips like these are great ideas but completely impractical, but not this blog. I can always count on you to give deep insight and present tips that are actually possible. Thanks! Thanks for being my number 1 poster again this week 😉 I appreciate your support! I have taken your advise regarding meat. When I make a dish that calls for meat, I simply put meat on one side (for my husband) and put more veggies on the other side Example, when I make pan burritos. It works well and no extra work! Thank you for the tip. I forgot to mention that Mexican recipes are easy to make meatless. I love making vegetarian burritos! Thanks for the great tip! i love the going outside comment, it is so true, its refreshing and humbling! nothing beats a little crisp air and vitamin d to turn your day around! keep the posts coming!!! I find that nothing puts things in the right perspective like going outside. We live in a beautiful world! *yay! I loved the article! Very inspiring…hopefully it motivates me to work out a little more too, haha. Take it one day at a time! I had a great work out yesterday, but today I plan on staying inside and drinking coffee ;-). All great ideas…As I read your ideas I was reminded of how similar we are when it comes to thing like this (minus the french fries — I’d replace it with ice cream.) Thanks for the written reminders of these habits…they can make a huge difference! I’m so glad you enjoyed the post! And yes, time and distance can’t diminish our similarities. (You’d be pleased to know that I’m now a proud folder of my underwear 😉 It’s funny, I too used to have ice cream on my list of favorite treats, but over time, I’ve started to steer towards more salty foods. Thanks for reading, and commenting! Love your suggestions! I must get your salsa recipe & your homemade baked donut recipe- my biggest weakness is donuts!!!!!! Staying up late & sleeping late is good advice but one I most probably will not follow!